Amazon Business offers a new level of delivery convenience and predictability with the launch of Amazon Day for Business, available today to all Business Prime members in the U.S. With Amazon Day for Business, Business Prime members can choose a recurring day of the week to be their delivery day, making it easier to get weekly purchases for each address on their account grouped and delivered together. Business Prime members across an organization, particularly those who place multiple Amazon Business orders in any given week, can now better plan their deliveries and reduce their receiving effort by having their eligible purchases grouped and delivered together. Grouping deliveries can also reduce delivery truck traffic and result in fewer boxes. To get started, Business Prime members can set their Amazon Day for Business in their Address Book, Group Address Book or when checking out with their next eligible purchase. Amazon Day for Business will then display as a shipping option on eligible items for everyone using that address across the organization. Have an unplanned or more urgent purchase? Business Prime members who enroll in Amazon Day for Business can also take advantage of other fast, free delivery options by selecting the best option for their items at checkout. This program is one of many sustainability initiatives to help Amazon achieve Shipment Zero, the company’s vision to make all Amazon shipments net zero carbon, with 50% of all shipments net zero by 2030. 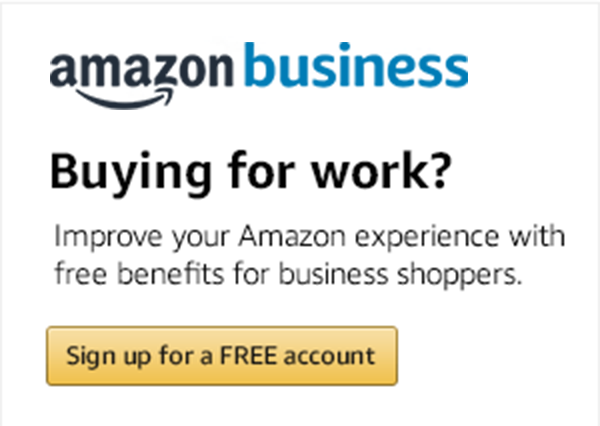 To learn more about Amazon Day for Business, visit www.amazon.com/businessprime/deliverybenefits.